Handles all aspects of a self-storage operation and is designed to be a solution for all your management needs. Control all locations in a single SQL database. Global facility updates are instantaneous for all designated locations. Utilize yield management tools for one location or all locations. Key functions and maintenance activities can be consolidated to a central office location. Customers can view their account and rented units as well as pay online. All payment information is tokenized to assist clients in PCI compliance. Every customer is provided with a unique log-in and password to ensure proper access controls. 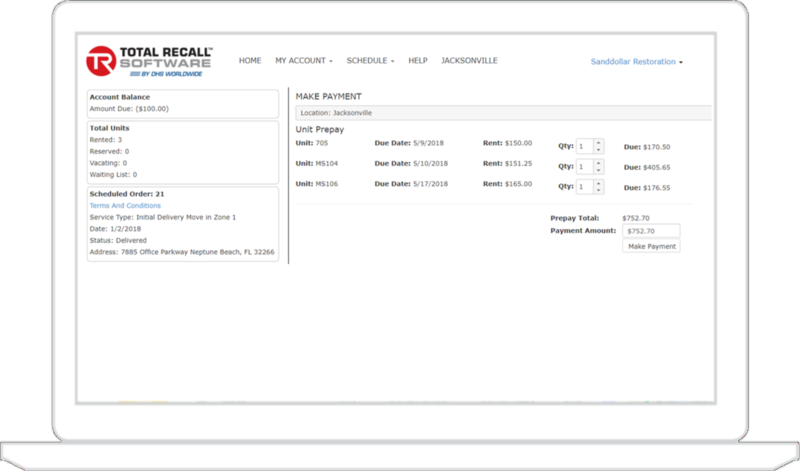 In addition to running traditional fixed self-storage, Total Recall also supports running a portable storage business. 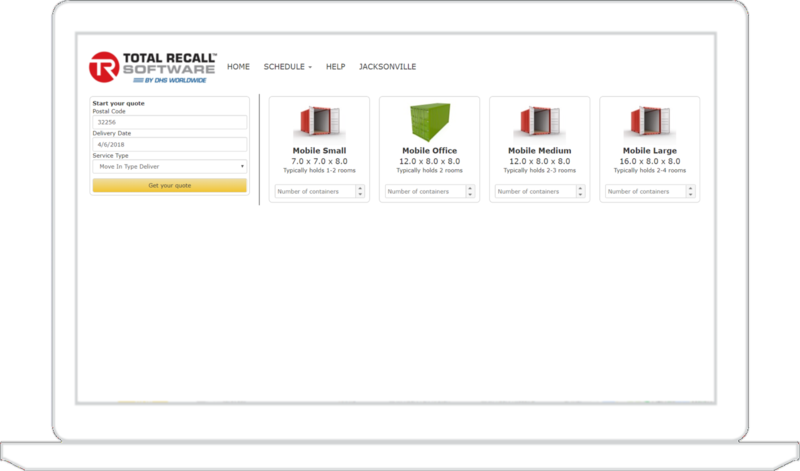 Features include work order management, online quoting/booking, dispatching and driver scanning. Set Auto Rent Increase Based On Occupancy. Set up to 4 Different Late Fee Levels. Short and Long Term Pricing. 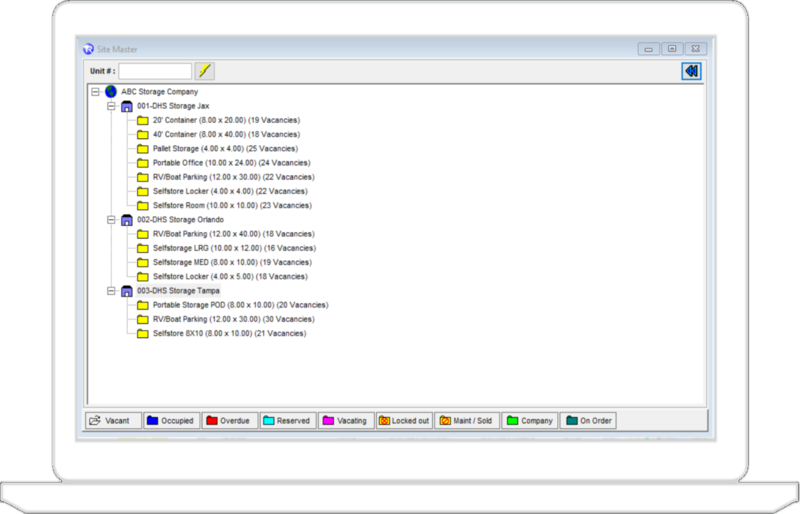 Manage Multiple Locations in Central DB. Key Functions Performed at Central Location. Centralized Call Center and Billing.